BRUNEI — Three young swimmers from Davao struck golds at the start of swimming competitions in the Brunei-Indonesia-Malaysia-Philippines-Northern Territory-East Asian Games at the Hassanal Bolkiah National Sports Complex here. 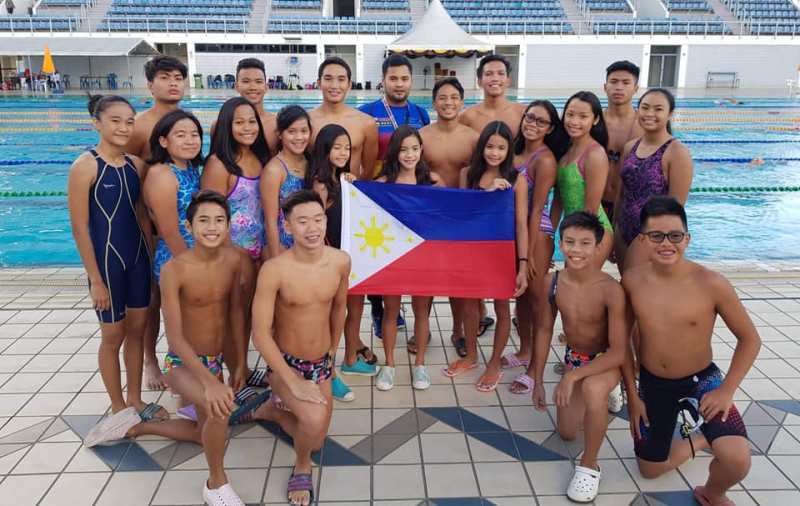 Joshua Raphael del Rio (200-m freestyle), Fritz Jun Rodriguez (50-meter breaststroke) and Elson Jake Rodriguez (50-meter backstroke) triumphed as the Philippines represented by focus areas Davao and Palawan started its campaign on a sizzling note. The five-day event formally opened in a blaze of colors at the Indoor Stadium with Retired Major General and Minister of Culture, Youth and Sports Dato Paduka Seri Haji Aminuddin Ihsan bin Pehin Orang Kaya Saiful Mulok Dato Seri Paduka Haji Abidin as the guest of honor. Philippine Sports Commission Commissioner Charles Maxey, also chef de mission, joined the VIPs in the short but meaningful ceremonies. Earlier, Maxey formally accepted the hosting rights of the 11th edition of the BIMPNT-EAGA Friendship Games during the sports council meeting. Davao City will host the next edition of the Games which also aims to strengthen economic ties between the participating countries. BIMPNT-EAGA Sports Council chairman Jufri Rahman expressed delight on Davao City’s hosting. Eirron Seth Vibar finished second to compatriot Del Rio to complete a 1-2 finish by the Philippines in the 200-meter freestyle. Other silver medalists were Ivo Nikolai Enot (100-meter backstroke), Kierl Suazo (50-meter free, Vibar (200-meter breaststroke) and the4X50 freestyle relay team of Suazo, Elson Jake Rodriguez, Juan Antonio Mendoza and Fritz Rodriguez. The Philippine Sports Commission under the leadership of William ‘Butch’’ Ramirez fully supported the participation of the nationals in cooperation with the Local Government Units of Palawan and Davao and the Mindanao Development Authority.